At the meeting in the border village of Panmunjom (04/25/2018), the presidents of the two Koreas, Kim Jong-un and Moon Jae-in (1), “confirmed the common goal of achieving, through complete denuclearization, a nuclear weapons free Korean Peninsula “(Full text in Annex 1). In that statement that summed up the meeting that reverted for at least a while, the worst expectations of a nuclear war, there are two terms in the joint declaration that merit, call for more attention: The first, “denuclearization” has actually been the subject of much speculation and discussion. The second, refers to a “nuclear weapons free Korean Peninsula” and has been interpreted as referring only to the nuclear weapons of the north, and not to the whole peninsula. However, in agreeing with the disclosed text, both Koreas recognize that there are actions to be adopted by both sides. In North Korea (DPRK), the objective would be to dismantle the newly obtained arsenal that is estimated in 15 warheads; the goal in South Korea (ROK) would be to end the threat caused by the presence of US nuclear weapons therein. These nuclear weapons, which have been located in South Korea’s American bases, may now be, even if temporarily, put aboard submarines or other launch vehicles. The US point out that this is no longer the case, but it is DPRK’s historical fear that could include the participation of that would justify its strong reaction to US and South Korean joint military maneuvers and which could include feared means of launching (such as the B-52s already referred to above). The meeting between the Koreas preceded the historic US-North Korea presidential summit held on June 12, 2018 in Singapore. As a result, one expects an understanding that may be, in Donald Trump’s utterance, “the end of the Korean War.” A diplomatic movement, involving mainly China, the two Koreas, Japan and Russia, as outstanding participants, eventually have led to the meeting. In a frame of comings and goings that have persisted for 65 years, after the end of the major conflicts, one has to wait therefore for the next initiatives. Korea is located in a neighborhood where nuclear energy stands out both for its broad energy use (Figure 1) as well as weapons locations (Figure 2). 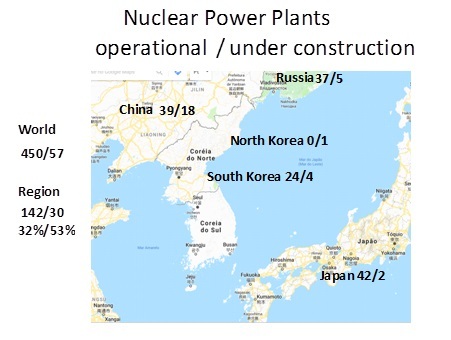 Figure 1: Among the nuclear power plants under construction in the world, 30 (53%) are in the region where 32% of those are currently in operation. 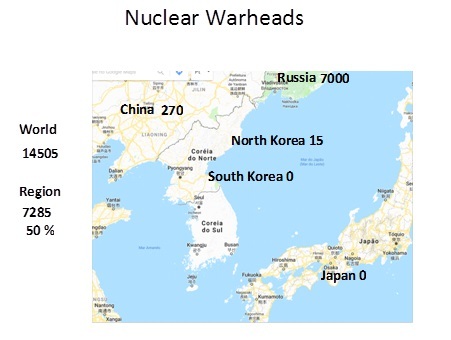 Existing nuclear warheads are also strongly concentrated in the region (Figure 2), corresponding to half of those existing in the world. This proportion is strongly linked to the huge participation of the Russian arsenal, three of the nine nuclear-weapon countries are concentrated in the region; in addition , six of the nine countries known as nuclear weapon states are located in Asia. This is a region where the presence of nuclear energy is also very strongly, marked by the tragic start of the use of nuclear bombs against the cities of Hiroshima and Nagasaki and affected by one of the major accidents in the peaceful use of nuclear energy (Fukushima, Japan). Notwithstanding these events it possesses a strong nuclear industry in almost all of its countries including the largest exporters of nuclear power plants in the world. Therefor it is not surprising that the nuclear issue acquires such a strategic and military importance. However, it should be noted, that the history of the presence of US nuclear weapons in South Korea and its neighborhoods has been almost ignored in the current debate. This history is particularly well described in “A History of US Nuclear Weapons in South Korea” (2). The threat of using nuclear weapons by the Americans started in the beginning of the Korean War when, it is worth to recall that American troops fought under the UN flag. Indeed, as early as 1951, Truman ordered the transfer of “nuclear capsules” or “pits” to Guam [I], justifying the threat by the Chinese military offensive in Korea during the War. From 1957, President Eisenhower approved the transfer of nuclear weapons directly to South Korea. The number of nuclear warheads in that country reached 950 in 1967, which is higher than the nuclear arsenal estimated today (to be owned) by France, the United Kingdom, China, and India together. Such an arsenal was entirely disproportionate to the threat then posed by, a non nuclear country such us North Korea. The American bases located in South Korea are located only a few hundred kilometers away from the territories of China and Russia, which, of course, also would eventually have been the real potential targets of this formidable arsenal at the time. The experts’ analysis points out, however, that given the scope at the occasion the existing launchers (as nuclear guns), North Korea was effectively the main target (Figure 3). 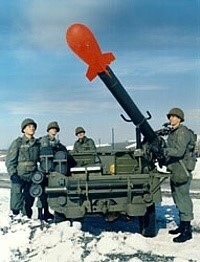 Figure 3: A large variety of tactical weapons were installed in the Region, some of which were clearly direc ted to North Korea (range of a few kilometers), including the projectile Davy Crockett, present in South Korea between July 1962 and June 1968. The artifact was a kind of “nuclear cannon” with a power limited to 0.25 kilotons, being the projectile weighting only 34.5 kg (76 lbs). Diplomatic action in the Korean region refers to the broader initiatives addopted in the early 1990s. Thus coinciding with the dismantling of the Soviet Union and the fall of the Berlin Wall, several countries have taken initiatives to renounce nuclear weapons. By that time Brazil and Argentina formalized an agreement on the peaceful uses of nuclear energy and signed a comprehensive safeguards agreement with the IAEA. South Africa has dismantled its nuclear weapons program while in 1985 North Korea had already adhered to the NPT (3), although it had not signed the comprehensive safeguards agreement with the IAEA, supposed due to the presence of US arms in South Korea. In September 1991, President Bush (father) ordered the withdrawal of nuclear weapons from South Korea, thus creating conditions for North Korea to not withdraw from the NPT, as it had threatened to do. The two Koreas also accepted the “denuclearization” of the Peninsula at a meeting held in 1992[II] by senior officials of the two countries (4) . At the time, the term “denuclearization” was understood to mean: not testing, manufacturing, producing, receiving, possessing, stocking, deploying or using atomic weapons; use nuclear energy for peaceful purposes only and do not have uranium enrichment facilities and irradiated fuel reprocessing of burnt fuel. That means “denuclearization” in the Korean historical context has a broader meaning than the mere elimination of nuclear weapons and includes a renunciation of reprocessing and enrichment. It is not certain that this interpretation remains valid. In any case, it means the complete elimination of nuclear weapons from the Korean peninsula, including, the American arsenal installed in South Korea’s territory for thirty-three years. At the time, a verification mechanism was also agreed between the two Koreas, whose main obstacle was North Korea’s insistence on verifying the withdrawal of nuclear weapons from the US bases in South Korea. There is a similarity between this mutual inspection solution to the one found, also in 1992, for Brazil and Argentina with the creation of ABACC [III] . It established, devised a nuclear accounting and control system between the two countries. There was, therefore, the expectation that the verification system implemented by ABACC could be applied to that conflagrated region. Such hypothesis induced several contacts between the ABACC team and technicians and authorities from South Korea and Japan, with the support and participation of US technicians. However the existing situation between Brazil and Argentina was notoriously much less tense than the one prevailing between the Koreas, despite some similarities. Firstly the larger of which might have been that both countries had , as they still do, much interest in their approaching and sought to take advantage of the deep changes that were (and are now again) occurring worldwhile to solve their disputes. Here as there, it was easier to solve problems bilaterally rather than yielding to international preassures approaches. A hexapartite group involving China, Russia and Japan, as well as the US and the two Koreas, also attempted to address the problems related to North Korea’s electricity supply. A scheme was set up that included the supply of oil by the United States for the generation of electric power and the construction of light-water nuclear plants whose irradiated fuel does not lend itself to the production of plutonium for weapons such as the reactor (gas-graphite) of the plant built by North Korea. This understanding among the six countries is known as The Six-Party Talk (5). It should be noted that North Korea was, at that time, in a fragile economic situation and it had also lost nuclear protection with the disintegration of the Soviet Union. Thus, it accepted to partially paralyze and dismantle the reactor that was being used for plutonium, production in exchange for oil provided by the Americans, in the short term to generate electricity with conventional thermal plants; in the future, it would be supplied by nuclear power from the plants that would be built by a consortium to be established between South Korea and Japan. At the end of the 1990s, however, the Agreed Framework between US and North Korea as a result of the multilateral talks and discussions between the two countries (1994 Agreeded Fremework) met with difficulties (6). Partly because of opposition from its Congress the United States delayed in delivering the promised benefits to North Korea. In particular, they delayed the construction of light water reactors (creating obstacles to the promised creation of the Japan South Korea consortium for this purpose) and repeatedly failed in supplying oil. They also lifted only a few of the existing sanctions, mantaining North Korea on the list of states sponsoring terror. On more than one occasion, the commitments made in documents signed between North Korea, the United States and other neighboring countries have not been fulfilled. This explains, in part, the distrust and frequent changes of attitude of the North Korean government. North Korea has, on different occasions, expressed its fears with the joint maneuvers of South Korea and the United States. This concern was already evident at the time, because they bring back to the waters and ports of the region nuclear weapons or equipment (aircraft such as B52 and submarines) that, even without nuclear weapons, have the capacity to launch them. It is necessary also to remember that the United States maintained and maintains in South Korea bases that still gather around 30 thousand US military personnel, possibly enough for the maintenance of a nuclear weapons infrastructure. Previous understandings have also been hampered by the “lack of haste”, as DPRK complained, in solving North Korean supply problems and implementing the promised measures. This may be explained by the US expectation, mainly in the 1990s, that, just as happened with East Germany, North Korea would simply collapse. It happens that North Korea, certainly following the example of China and with its support did not accept this antecipation continued the execution of the activities of its armament plan. The spectacular blowing up the cooling tower of the gas-graphite plant (plutonium producer), for example, took into account the fact that they already had considerable amounts of spent fuel, enough for the construction of several artifacts and also the possibility of using direct cooling of its reactor with water from a nearby available river. In fact, North Korea restarted the plutonium separation for nuclear bombs as soon as it broke contact with the IAEA, as a result of its withdraw from the NPT, as a consequence of the tumultuous relationship established with that Agency. It seems very likely that North Korea has never actually renounced its arms plans but merely adjusted its implementation to limit or postpone what would constitute direct violations of the Safeguards Agreement. Evidence has also emerged on uranium enrichment activities, which is the alternative route to obtain a nuclear artifact. In the face of the evidence found by IAEA inspections, Japan has suspended funding for the antecipated PWR plants (7). These activities to enrich uranium were later confirmed by North Korea itself. At the present stage of negotiations, North Korea is in an economic situation as difficult as or more than it was 26 years ago, but now it counts with the asset of proving its possession of nuclear weapons, as well as its capacity to launch artifacts by missiles of considerable range, although there is no evidence of its claimed success in miniaturizing nuclear weapons necessary for such transport. With the extraordinary ability to advance technologically, evidenced by the development of nuclear fuel, launching missiles and nuclear bombs (including the H-bomb), it is clear that despite the siege mounted against it, in the areas of nuclear weapons and rockets launchers, there remains not much room to continue considering the claims presented by North Korea on its arsenal as mere bravado. It should be noted that the understandings outlined in 1992 also emerged attense time when North Korea had threatened to leave the NPT (which it did on 10/01/2003). The commitment to “denuclearization” as defined at that time went beyond the commitments set out in the Nuclear Non-Proliferation Treaty (NPT) and implied giving up the critical stages of enrichment and reprocessing (although allowed to other signatory countries). On these points, as is well known, North Korea had achieved the domain of uranium enrichment, plutonium reprocessing and the manufacture and testing of nuclear explosives. Meanwhile, South Korea, despite its advances in the area of ​​peaceful use of nuclear power has been forced by agreements with the US, not to develop enrichment and reprocessing which are the natural needs of its nuclear program which includes the production of light water reactors, requiring enrichment and heavy water reactors whose full utilization of the fuel requires reprocessing. The renewal of the agreement with the US should have been discussed in 2013, but their differences were too great to be overcome, leading them to sign a separate contract to extend the maturity date for the existing agreement. After years of discrete but highly sensitive negotiations, in 2015 the United States and South Korea announced a revised treaty which continues to deny – but does not permanently exclude South Korea from enriching uranium or reprocessing irradiated nuclear fuel, even for peaceful purposes. By the ROK USA 123 Agreement (8) of 2017 there was the concern to permit South Korea the pssibility of external enrichment capacity needed for its vigorous nuclear program, including ongoing determination to export nuclear plants. The future supply of light water reactors is another point on which North Korea may also demand in exchange guarantees indispensable to dismantle or limit its current capabilities. The list of diplomatic actions developed since decades ago by North Korea with all other interested countries is surprising for a regime as closed as it is considered to be DPRK. In fact the line it adopted over decades has been to maintain open channels of dialogue with the various involved countries, while at the same time a long succession of breach of commitments may be observed. From part of North Korea, it the tactic constitutes of “making one step backwards and two forward”, a pragmatic variation of the famous Leninist approach. I t should be recognized, however, that the US have not been noted for maintaining the mutually agreed dispositions, presenting constant excuses to postpone or cancel its commitments. In fact the recent history of the Trump Administration and its attitude regaring the US commitments previously signed mainly with Iran, does not encourage the aimed agreements. An important factor to be considered is that the present situation of North Korea is less fragile than previously ones. Perhaps it has emerged now an opportunity for ataining “Peace among strong nations”, despite the power disparity between the US and DPRK, but possibly counting on the support of othe known region’s strongholds. On May 2018, North Korea suspended the military meeting with South Korea, justified by the joint military maneuvers ROK-USA, and equally threatened to suspend the meeting with the American President. As a result, it was announced that the US would have granted no B-52 participation in the joint training demonstrating DPRK’s high sensitivity to nuclear weapon vectors . On 05/23/2018, North Korea announced the dismantling of Punggye’s underground nuclear explosion testing field and invited several foreign journalists who witnessed the dismantling of the exploded tunnels as reported on 05/24/2018 by the Chinese CGTN agency “DPRK ‘dismantles’ Punggye-ri nuclear test site”. It is interesting to note the quotes placed by the Chinese agency which had already reported that the latest tests had destabilized the land which caused preocuppations in China since the testing site is very close to its border with the DPRK. The Guardian also reported the collapse as “North Korea Nuclear test site collapsed and may be out of action –according to a China study “(12). Also on 05/24/2018 it was disclosed President Trump’s letter canceling (or postponing) the June 12, 2018 meeting alleging hostile language used by the North Korean head of state. The message is thanks for the release of American citizens and leaves the door open for a future meeting. Notwithstanding this moderate tone, new threats to the use of nuclear weapons were made by the concerned countries. The NY Times reported on the position of the American president: Trump Pulls Out of North Korea Summit Meeting with Kim Jong un (13). References to the Libyan case supposed similarity made by the American Vice President and the North Korean response threatened increase the observed sour relations between the countries and confirm the Americans’ false expectation that North Korea would simply be willing to unilaterally resign nuclear weapons when it was intended to negotiate from a position of strength, on account of the success that it was believed to have achieved in the development of weapons and launchers. After this event, there was intense diplomatic action involving mainly China, Japan and the two Koreas all committed to make viable the meeting of Trump with Kim Jong-un. Meetings between North Korean and U.S. delegations have been held and there was the expectation that the aimed for event would still take place. Finally, on 06/01/2018, the American president himself announced the confirmation of the encounter for June 12, 2018 in Singapore ( Trump Announces That North Korea Summit Meeting Is Back On ). On 06/12/2018, President Donald J. Trump of the United States of America and President Kim Jon-un of the Democratic People’s Republic of Korea (DPRK) held a first historic meeting in Singapore as reported in newspapers around the world including CGTN from which the transcript shown in Annex 2 was translated. The message is quite vague, but it signals the commitment of new US / DPRK relations, the joining of efforts for a lasting peace on the Korean Peninsula; it reaffirms the commitment to the complete denuclearization of the Korean Peninsula thus confirming the Panmunjom Declaration (announced by the two Korean heads of state) and commits itself of recovering POW / MIA remains, including the immediate repatriation of those already identified. Trump said after the meeting that withdrawal of American troops from the Republic of Korea (ROK) was an aspiration that would not happen in the short term, but added that the “very expensive” and “provocative” military exercises with Seoul would cease. President Trump’s speech announces concessions precisely in several points here analyzed , such as: the maneuvers will be restricted because they contain simulations of acts against North Korea, including the use of nuclear weapons. In addition, it was announced the possibility of reducing or eliminating the troops stationed in South Korea. In the North Korean stand point, this is part of the aimed “denuclearization” of the Peninsula. It is worth remembering that the presidential meeting between the two Koreas presented a detailed and coherent roadmap for the rapprochement and unification of the Korean Peninsula which is the final objective of the Agreement. In practice, the only scenario that seems plausible for this union would be the establishment of a unified, neutral Korea. There is the precedent for post-World War II Austria, initially divided between the Western and Soviet bloc occupation and later on unified as a neutral country. (*) Carlos Feu Alvim and Olga Mafra are editors of Revista E & E and have been part of the ABACC team since its foundation, remaining there for more than 11 years. He was the first ABACC Secretary on the Brazilian side and she Operations and Technical Support Officer. Both participated in discussions on application of the ABACC model in the Korean Peninsula and Japan with technicians from South Korea, Japan and USA. (**) José Israel Vargas was Minister of Science and Technology in the Itamar and FHC governments, Brazil’s ambassador to UNESCO and Chairman of its Executive Board. He coordinated the so-called “Vargas Commission” that analyzed the Brazilian Nuclear Program during Sarney Government whose report proposed mutual inspections between Brazil and Argentina, one of the bases of the ABACC verification process. He was also membership of the CNEN Deliberative Commission at Marcelo Damy’ administrration. He was a member of the IAEA International Committee on Nuclear Data Normalization -INDC. Sharman, Jon.Kprea Sumit: Read the Panmunjon Declaration in Full. [Online] April 27, 2018. https://www.independent.co.uk/news/world/asia/korea-summit-panmunjom-declaration-full-read-kim-jong-un-north-south-moon-jae-in-a8325181.html. Norris, Hans M. Kristensen and Robert S.A History of US Nuclear Weapons in South Korea. Globsl Research. [Online] Taylor & Francis on line, October 26, 2017. https://www.globalresearch.ca/a-history-of-us-nuclear-weapons-in-south-korea/5623878. Kirgis, Frederic L.Nort Korea’s withdrawal from the Nuclear Nonproliferation Treaty. American Society of International Law. [Online] ASIL, January 24, 2003. https://www.asil.org/insights/volume/8/issue/2/north-koreas-withdrawal-nuclear-nonproliferation-treaty. Arms Control Association.The Six-Party Talks at a Glance. [Online] ACA, july 2017. https://www.armscontrol.org/factsheets/6partytalks . The U.S.-North Korean Agreed Framework at a Glance. [Online] ACA, august 2017. https://www.armscontrol.org/factsheets/agreedframework . Center of Nonproliferation Studies.CNS Resources on North Korea’s Ballistic Missile Program. Library of Congress (USA). [Online] Center of Nonproliferation Studies, august 31, 1998. http://webarchive.loc.gov/all/20011123193323/http://cns.miis.edu/research/korea/factsht.htm . US and ROK Agreement.US Department of State. S.-Republic of Korea (R.O.K.) Agreement for Peaceful Nuclear Cooperation. [Online] DOS, january 20, 2017. https://www.state.gov/t/isn/rls/fs/2017/266968.htm . Transcript: Secretary of State Mike Pompeo on “Face the Nation,” May 13, 2018. CBSNews. [Online] CBS, may 13, 2018. https://www.cbsnews.com/news/transcript-secretary-of-state-mike-pompeo-on-face-the-nation-may-13-2018/ . NY Times.North Korea Threatens to Call Off Summit Meeting With Trump. [Online] NYTimes, may 15, 2018. North Korea is already getting concessions ahead of Trump-Kim talks. vox. [Online] vox, may 18, 2018. The Guardian.North Korea nuclear test site has collapsed and may be out of action – China study. [Online] The Guardian, april 26, 2018. https://www.theguardian.com/world/2018/apr/26/north-korea-nuclear-test-site-collapse-may-be-out-of-action-china . Landler, Mark.Trump Pulls Out of North Korea Summit Meeting With Kim Jong-un. [Online] NY Times, May 25, 2018. https://www.nytimes.com/2018/05/24/world/asia/north-korea-trump-summit.html . [I] Island in the Pacific (Micronesia) under US control 3400 km from the capital of North Korea (Pyongyang). Guam was recently on the news when it was threatened by an attack from North Korea. [II] The Declaration of Denuclearization of the Korean Peninsula was a line of action agreed between South and North Korea signed on January 20, 1992 and in force since February 19 of the same year. North Korea has committed to remain as part of the Non-Proliferation Treaty (NPT) of which it had announced its withdrawal. The English version of the Joint Declaration on the Denuclearization of the Korean Peninsula is shown in Annex 3. [III] Brazil and Argentina signed the Bilateral Agreement of Peaceful Uses of Nuclear Energy, which created the Brazilian – Argentine Agency of Accounting and Control of Nuclear Materials (ABACC) with which they signed the Comprehensive Quadripartite Safeguards Agreement with the International Atomic Energy Agency – IAEA. These initiatives directly interested South Korea, Japan and the US with which the responsible for ABACC maintained several contacts, aiming at they could eventually take advantage of their experience in an expected distension between the Koreas. During this momentous period of historical transformation on the Korean Peninsula, reflecting the enduring aspiration of the Korean people for peace, prosperity and unification, President Moon Jae-in of the Republic of Korea and Chairman Kim Jong-un of the State Affairs Commission of the Democratic People’s Republic of Korea held an Inter-Korean Summit Meeting at the Peace House at Panmunjom on 27 April, 2018. South and North Korea will reconnect the blood relations of the people and bring forward the future of co-prosperity and unification led by Koreans by facilitating comprehensive and groundbreaking advancement in inter-Korean relations. Improving and cultivating inter-Korean relations is the prevalent desire of the whole nation and the urgent calling of the times that cannot be held back any further. 4) South and North Korea agreed to encourage more active cooperation, exchanges, visits and contacts at all levels in order to rejuvenate the sense of national reconciliation and unity. Between South and North, the two sides will encourage the atmosphere of amity and cooperation by actively staging various joint events on the dates that hold special meaning for both South and North Korea, such as 15 June, in which participants from all levels, including central and local governments, parliaments, political parties, and civil organizations, will be involved. On the international front, the two sides agreed to demonstrate their collective wisdom, talents, and solidarity by jointly participating in international sports events such as the 2018 Asian Games. 5) South and North Korea agreed to endeavor to swiftly resolve the humanitarian issues that resulted from the division of the nation, and to convene the Inter-Korean Red Cross Meeting to discuss and solve various issues including the reunion of separated families. In this vein, South and North Korea agreed to proceed with reunion programs for the separated families on the occasion of the National Liberation Day of 15 August this year. 6) South and North Korea agreed to actively implement the projects previously agreed in the 4 October, 2007 declaration, in order to promote balanced economic growth and co-prosperity of the nation. As a first step, the two sides agreed to adopt practical steps towards the connection and modernization of the railways and roads on the eastern transportation corridor as well as between Seoul and Sinuiju for their utilization. 1) South and North Korea agreed to completely cease all hostile acts against each other in every domain, including land, air and sea that are the source of military tension and conflict. In this vein, the two sides agreed to transform the demilitarized zone into a peace zone in a genuine sense by ceasing as of 2 May this year all hostile acts and eliminating their means, including broadcasting through loudspeakers and distribution of leaflets, in the areas along the Military Demarcation Line. This joint declaration shall enter into force from the date the South and the North exchange the appropriate instruments following the completion of their respective procedures for bringing it into effect. Post anteriorAnteriores A Desnuclearização das Coreias.